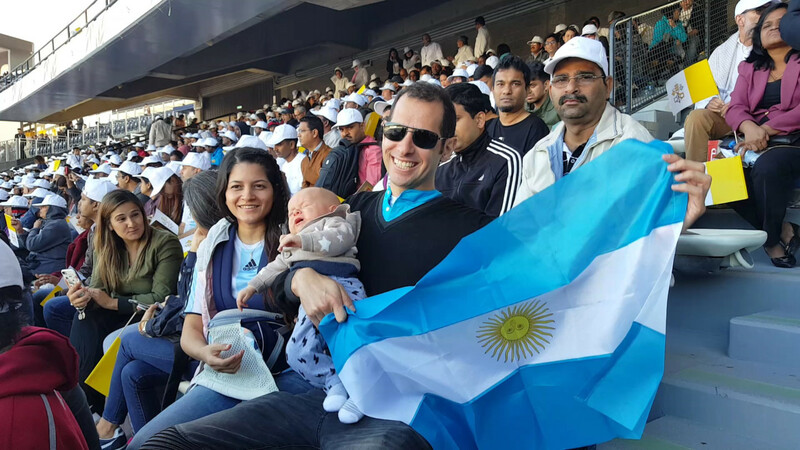 Abu Dhabi: Amid a sea of white-and-yellow flags at the Zayed Sports City Stadium on Tuesday morning, a pale blue and white flag with a brown bordered central golden sun stood out. 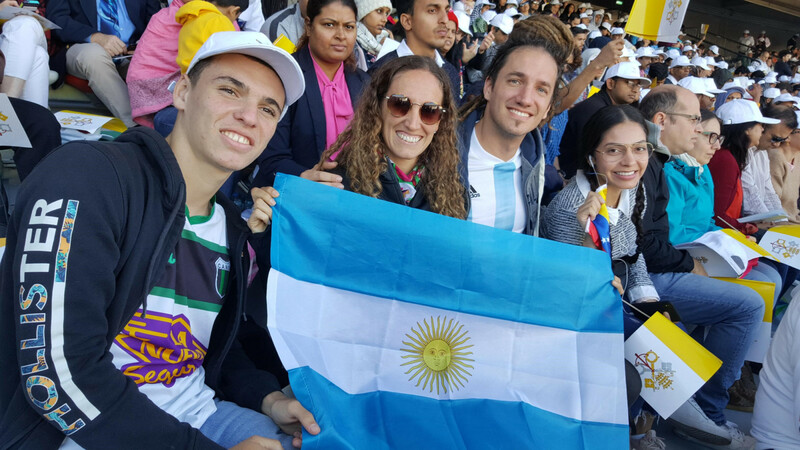 Proudly holding it were Pope Francis’ Dubai-based compatriots from Argentina who did not want to miss the chance to hear him say mass in the UAE capital. Diego Javier Carranza, a businessman in Dubai, was supposed to travel with friends and fellow Argentines, Valentin, Lorena, and Ariel to Abu Dhabi on Tuesday morning to attend the Holy High Mass. His two-month-old son Maximo was too young to be out so early in the cold and too fragile to expose to such huge crowds. But their plans changed at the last minute. Hearing Pope Francis challenge the crowd to live out the Beatitudes, which are the characteristics of a true Christian as preached by Jesus Christ in His Sermon on the mount, Carranza said he will respond in obedience. “The Christian life means living a blessed life, one that is full of love where you help other human beings and live in peace with them,” Carranza told Gulf News. The part of the pontiff’s homily where he spoke about the blessedness of being meek is something that is reflective in the Holy See’s life himself, he said. He also agreed with Pope Francis’ challenge to all Christians to live peaceably with all men as stated in the Bible.